Wisconsin: land of cheese, lakes, and rabid football fans. It’s a state with an economy on the rise. In 2015, America’s Dairyland experienced a growth in median household income for the first time in 8 years, and the poverty rate dropped to 12.1% from 2014’s 13.2%. Wisconsin families make an average of $54,610, and Wisconsin residents also have some of the highest credit scores in the country. According to Realtor Magazine, the average 2017 credit score in the Badger State was 696, putting it at #7 in the top 10 states with the highest average credit score in the nation – a full 21 points higher than the average national score of 675. While all of this is good news for Wisconsin residents, many financial dangers still lurk throughout the state. Chief among them are predatory payday and title loans, which carry high fees and interest rates designed to trap consumers in a vicious cycle of debt. Average Credit Card Debt and Median Household Income in Wisconsin vs. the U.S.
Wisconsin is one of only eight states that have no cap on annual interest rates for payday loans. This means that payday lenders can charge as much as they want in interest, quickly doubling, tripling, or even quadrupling the amount a borrower will owe on even a small cash loan. In 2014, Wisconsin payday lenders loaned more than $37.4 million to consumers, raking in $8.4 million in fees and interest charges. Until 2010, Wisconsin was the only state in the country that didn’t regulate the amount, the location, or the APR on payday loans. After a long debate between 2009 and 2010, Democrats ultimately passed a bill that limited where payday loan stores in Wisconsin could be located, and capped the amount that payday lenders were allowed to loan out to $1,500 or 35% of the borrower’s income – whichever is less. Then-Governor Jim Doyle made the bill even tougher by using his partial veto powers to ban title loans in Wisconsin and broaden the definition of payday loans. But less than a year later, the legislation was softened, and the regulations became much friendlier to lenders. Even before these laws were passed, payday lenders in Wisconsin were several steps ahead, offering several different kinds of loans that wouldn’t be beholden to strict regulation. Some of the loans that payday lenders can offer are not classified as payday loans, and thus have no rollover limits, and do not require the lender to verify borrower income or register the loan into a state database, as is required with payday loans. In 2011, state legislators and Governor Scott Walker changed the definition of payday loans in Wisconsin to include only loans with terms of 90 days or less. As a result, payday lenders began distributing loans with repayment terms of 91 days to avoid the payday loan classification. A title loan is a type of short-term, high-interest loan that is typically taken out by borrowers with poor credit, who have few other options for securing funds when an expense pops up. Taking out a title loan doesn’t require a credit check. Instead, title borrowers use the titles for their vehicles as collateral for the loan. If they fail to pay back the loan on time, the lender can take possession of the vehicle and will sell it to cover the cost of the loan. Consumer advocates in Wisconsin have long pushed for everything from interest rate caps on title loans, to an all-out ban on the practice. In 2010, when former Governor Jim Doyle inserted a veto into a bill aimed at reining in payday lending that barred title loans entirely, their dream was temporarily realized. But that veto was undone the next year, and the practice of title lending in Wisconsin was reauthorized. Wisconsin is one of only 13 states that allows title lending without an interest cap. Other states have prohibited title loans entirely, or imposed rate caps that have effectively killed the title lending business model. Because title loans in Wisconsin have no cap on interest or fees, lenders can charge any rate they see fit according to Wisconsin Statutes 138.16.14. Title lenders are allowed to offer loans of up to $25,000 or 50% of the value of the borrower’s vehicle. 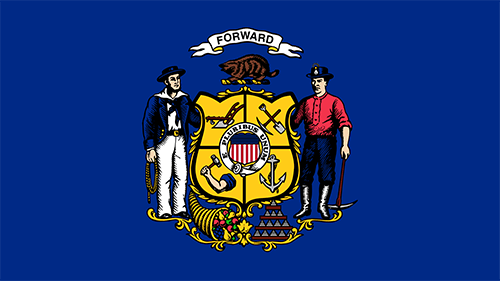 In Wisconsin, borrowers who are unable to make payments on their title loans are required to have a 20-day notice from their lender prior to their vehicle being repossessed. However, once the vehicle has been repossessed by the lender, Wisconsin law does not require title lenders to return any excess funds it gets from selling the vehicle after paying off the title loan, interest, and repossession fees. In short, title lenders can sell your vehicle, make triple the amount you owe them on the sale, and pocket the profit. Between July 2011 and December 2015, the Department of Financial Institutions received 308 complaints about payday lenders in Wisconsin. The Department responded to those complaints with 20 enforcement actions. If a Wisconsin payday or title lender has violated state law or is otherwise mistreating you, there is help available. The Department of Financial Institutions exists to enforce laws, and they can also work with you to resolve problems. Has a Wisconsin payday lender violated payday loan laws and regulations? If they have, don’t let it go ignored—reach out to the Wisconsin Department of Financial Institutions to report the payday lender. Aside from the Department of Financial Institutions, you can find help and guidance with the Legal Action of Wisconsin. Stacia Conneely, a consumer lawyer with Legal Action of Wisconsin, says that there are thousands of high-interest installment loans that are being issued but not reported. Legal Action of Wisconsin provides free legal services to low-income individuals who are dealing with legal issues related to payday lending and consumer protection. Contact Legal Action of Wisconsin if you fit this description, and you might be able to help others avoid falling into the same trap. You know payday and title loans in Wisconsin are a problem. But what about at the city level?